It’s hurricane season and this past weekend was a rough one. 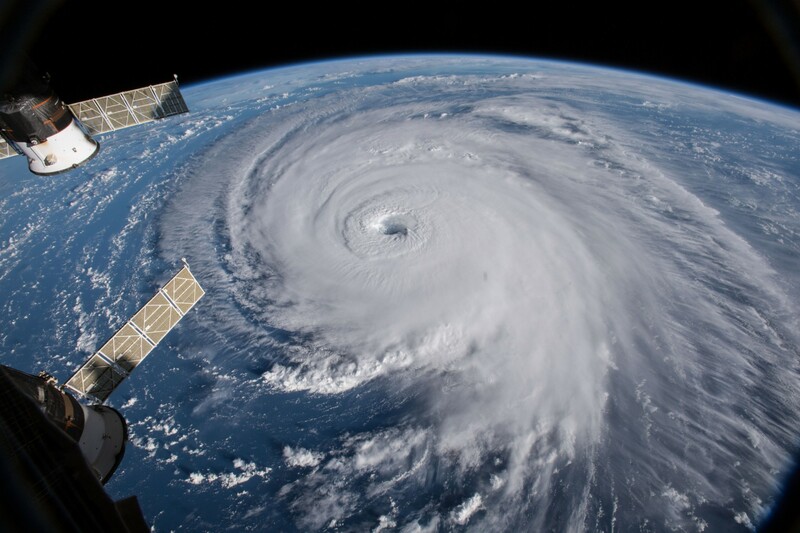 On Friday morning the U.S. was hit by storm Florence, a hurricane weakened to a tropical depression. Florence slammed North Carolina and South Carolina but the worst part will be the flooding. On Saturday, Typhoon Mangkhut made its debut in the Philippines before reaching Hong Kong and finally, Guangdong, China, where it crashed into the coast with up to 160 km/h winds. Mangkhut is considered the strongest storm of 2018 but it's only the beginning. These storms, exacerbated by climate change, will continue to get stronger. Let’s be clear, hurricanes and typhoons are not caused by climate change. But they are more severe because of it. 1. More water vapour: as Earth gets warmer, there will be more water vapour available for storms to collect and the amount of rainfall associated with storms will increase on average. 2. Rising seas: As seas rise, more coastal lands are flooded on average. 3. Warmer oceans: Storms get energy from warm oceans and as oceans become warmer, there will be more energy available to storms. Dr. Hayhoe points out that it is dangerous to assume climate change is only a problem for future generations. As we are witnessing with storms getting stronger and stronger, climate change is very much an urgent issue. It is in our best interest to understand what a warmer atmosphere means for weather so that we don’t underestimate these natural disasters. Besides taking action on climate change, one of the most effective ways to help is to donate to disaster prevention so that more people can be secure.